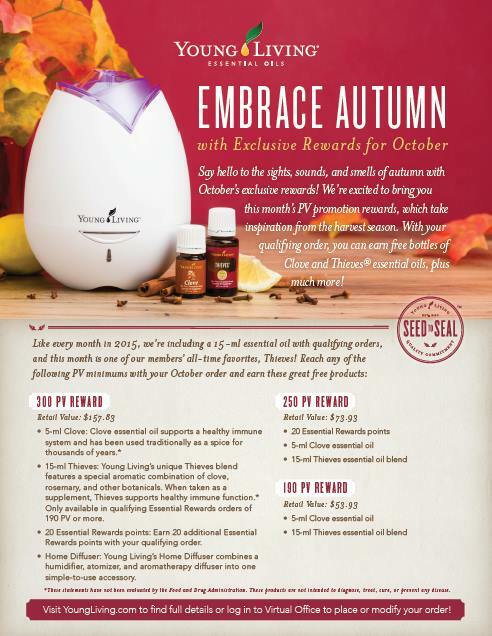 October 2015 Young Living Promotions! SAVE more! Hey are you not a member of our Oily Fam yet? Guess what! There is no better time to join! Check out this page for more info! 15-ml Thieves: Young Living’s unique Thieves blend is crafted in the spirit of the legendary formulation by four 15th-century French thieves, which featured a special aromatic combination of clove, rosemary, and other botanicals. When taken as a supplement, Thieves supports healthy immune function. * Only available in qualifying Essential Rewards orders of 190 PV or more. 20 Essential Rewards points: Earn 20 additional Essential Rewards points with your qualifying order. 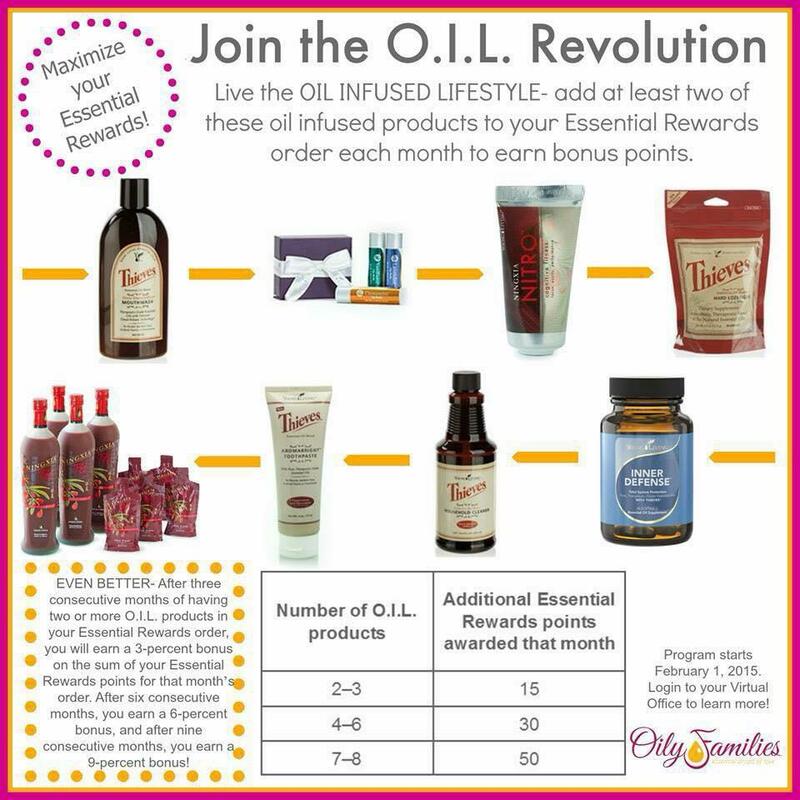 Your Essential Rewards points can be used like cash toward many of your favorite products! Home Diffuser: Young Living’s Home Diffuser features a rose-inspired design and combines a humidifier, atomizer, and aromatherapy diffuser into one simple-to-use product. What a great time to save even more with OIL Infused Lifestyle! If you are at the 20% ER level and place a 300pv – that’s 60pv in ER points to use later..
Plus your $157 in freebies for the 300pv level..
PLUS the 15pv for the lowest OIL infused program..
So- spend 300pv and get equivelant to 232 pV worth of FREE products & credit..
Crazy! What other company does that?